As this hopefully illustrates, her spirituality is becoming more and more important as things progress. Which pleases me muchly. And I hope you will all find quite beautiful. 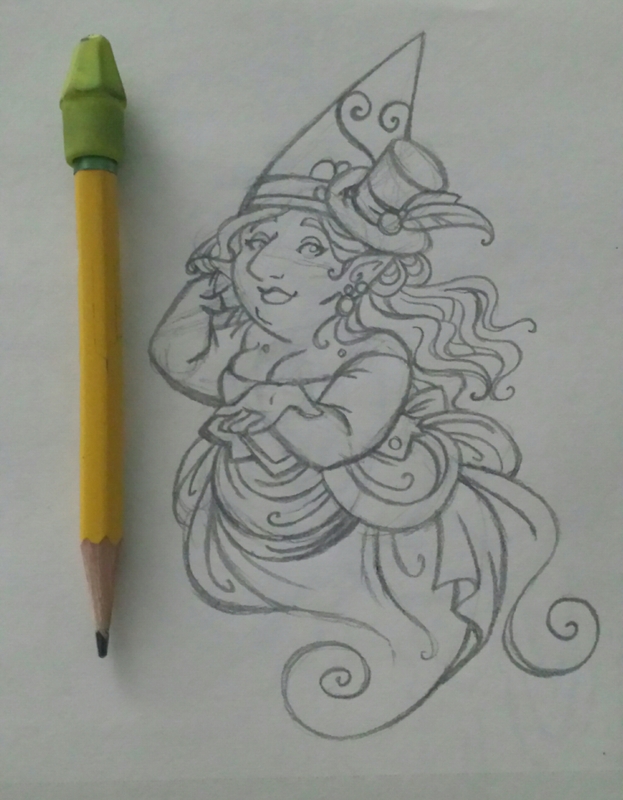 Tough night getting motivated to work on things, so random sketching turned into the Gnomish Goddess of Love, Carwen. I’ve written about her before, but more on the Gnomish Gods will be coming again soon.